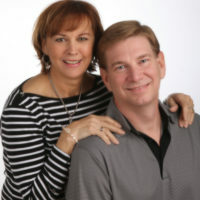 Dan and Amanda Harstine have been involved in the real estate industry since 1995 serving Kosciusko and surrounding counties. Integrity Real Estate provides comprehensive real estate service for Residential, Vacation, Investment, Commercial, and Land Development. At Integrity Real Estate, our goal is to guide our clients in their buying and selling journey. We believe that the best way to effectively meet this goal is through honesty and hard work, and our logo is a reflection of these values. While the arrow above true north forms the shape of a house roof, there is deeper meaning built into our mark. 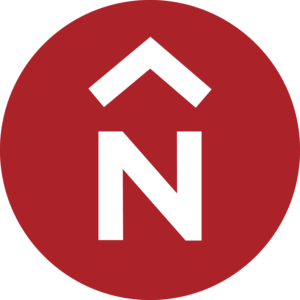 The arrow+N symbolizes True North and is integrated into the logo as a reference to our role as a guide for our customer and our dedication to searching and guiding our clients in their efforts to buy or sell their property. True North also represents our moral compass – we choose to conduct business with transparency and honesty. After all, we take our namesake seriously and strive to have integrity in everything we do. (July 29, 2018)—Dan & Amanda Harstine of Integrity Real Estate were named one of America’s top real estate professionals by REAL Trends, as advertised in The Wall Street Journal. They are now a member of the “The Thousand Top Real Estate Professionals,” a prestigious, national award ranking sponsored annually by REAL Trends and advertised in The Wall Street Journal. Harstine’s are now ranked in the top one-half of 1 percent of the more than 1.3 million Realtors® nationwide. Our Team is dedicated to our clients and their success by continually studying the real estate market in the Greater Warsaw-Kosciusko Area with a focus on simplifying the buying/selling process. Amanda and Dan are true professionals. A team that can step in and get the job done! … We highly recommend their services and congratulate them on a job well done!